Course Overview: When you go night diving you will see a whole new world. Even your local dive site takes on a new personality at night, as many underwater creatures and plant life (different from those you see during the day) are active at night. Course Activities: You will learn about night dive planning, organization, procedures, techniques and potential problems. You will also learn how to control your buoyancy, navigate and communicate at night. Since many of the plants and animals you see at night are different you will also get introduction for nocturnal aquatic life. You will get to use your new knowledge during the 3 dives you do under the supervision of an instructor. Classroom: There are one classroom session. The classroom session will cover each of the chapters, review your knowledge review answers and prepare you for each of the three open water dives. Independent Study: Read the Night Diver Specialty manual and complete Knowledge Reviews Parts I and II. You will need to turn in the knowledge review prior to certification or provide a copy of an Adventure Log signed by an appropriate instructor if you have already done dive one in connection with your Adventure Diver or Advanced Open Water Diver Certification. 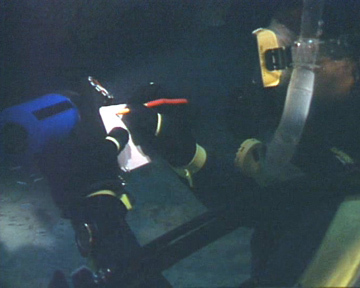 Materials/Equipment Required: Night Diver Specialty Manual. Recommended: Night Diver Specialty DVD. Length of Course: If you have read the Night Diver Specialty Manual, completed the all the knowledge reviews and watched the entire video prior to coming to class then the classroom will last approximately 1 hour depending upon class size. Before descent, take compass bearing on shore/boat. 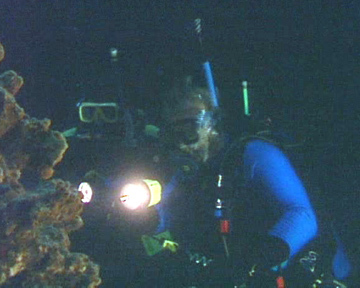 Underwater - adjust to night diving environment. Conduct navigation exercise - using a compass and/or natural features, navigate to a pre-determined location and return to within 25 feet of the starting point, surfacing for orientation only if necessary. Guided underwater tour of area. 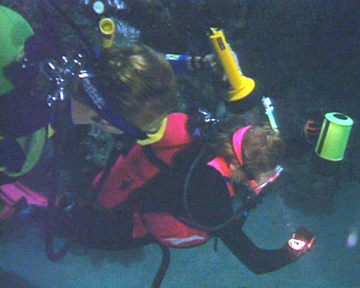 Underwater guided tour - students are to note nocturnal aquatic life discussed in the academics portion of the course. Conduct navigation exercise - at the end of the dive student to return to the shore or boat underwater using a compass. After surfacing, discussion of underwater tour, nocturnal aquatic life seen and completion of navigation exercise. Assemble and position lighting systems used for navigation or orientation (surface and underwater lighting systems). Set a compass heading to the shore or boat. Rrecord this heading on a slate. Feet first descent using reference line as a visual aid only with a dive light pointed downward, watch for the bottom and demonstrate anti-silting techniques with a dive light, look for bottom hazards (aquatic life and sharp objects). Perform a lights-out exercise for three minutes while remaining in a stationary position on the bottom. Extinguish lights and adjust to the darkness. 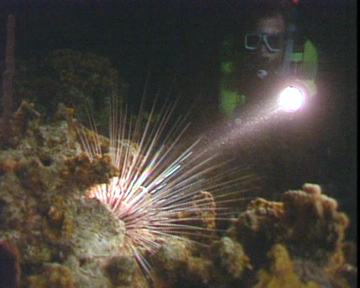 Conduct you own night dive and return to the boat or shore with at least 500 psi. Discussion of lights out exercise.